Government rules that allow for airlines to cut the number of cabin crew on aircraft were implemented by the Conservatives right before the election against the clear advice of Transport Canada’s assessments and experts, documents obtained by CUPE show. An analysis of the submissions provided to Transport Canada, obtained by CUPE through Access to Information Requests, provides no reasoning to reduce the number of flight attendants from a safety perspective. “Flying with fewer flight attendants is a threat to passengers’ safety, period. Don’t take our word for it: just look at Transport Canada’s very own assessments, presented to the House of Commons’ Transport committee today” stated Troy Winters, CUPE’s Senior Health and Safety Officer. Additionally, Transport Canada Staff noted that previous requests for ratio exemptions were rejected on the grounds of aviation safety, pointing out that nothing had changed to show that safety was no longer affected. Mr. Winters said. “Achieving this is hard, even under optimal conditions. Cutting the number of flight attendants to 1:50 made it almost impossible to achieve”, he added. 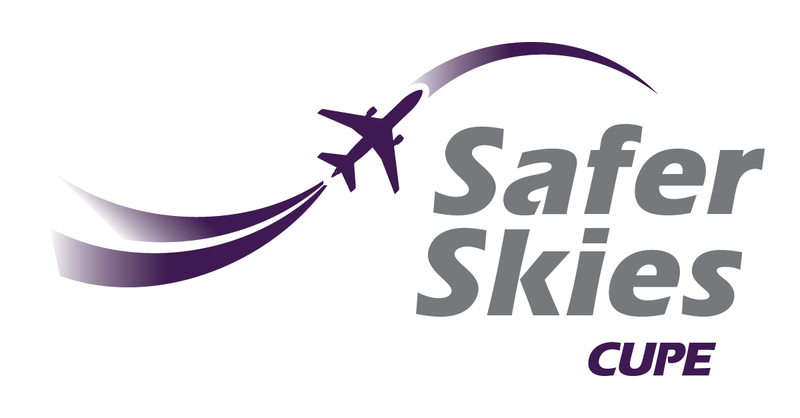 “When the available evidence, including Transport Canada’s own assessments, shows that the 1:50 ratio lowers passenger safety, it is not in the public interest for the Government to maintain it, said Mark Brancelj, President of CUPE’s Airline Division. If the Liberals are not willing to scrap the 1:50 ratio immediately, they should at least respect their election promise to hold “appropriate consultation with stakeholders and experts, all the while keeping the safety of all Canadians as a top priority,” concluded Mr. Brancelj.